Carlson’s long-standing designs and innovative product adaptations keep the company at the forefront of the worldwide clutch and brake industry. Its customer driven commitment to technological advances in controlling motion have led it into market areas that include Factory Automation, Food Processing & Packaging, Forestry, Materials Handling, Metals and Printing & Die Cutting. The Carlson Company’s Quality Assurance Program controls every aspect of the engineering and manufacturing process and ensures that the customer is provided with quality, defect free products. Carlson Company products are manufactured in a 54,000 sq. ft. facility in Wichita, KS, USA, and are sold through a system of knowledgeable distributors and field sales representatives throughout the world. Our experienced sales organization, along with Carlson’s technical group, is dedicated to applying the correct Carlson product – or customizing Carlson products – to every customer’s need. Carlson Industrial has been the industry leader in power transmission products for the past 60 years and is known for the Power Flo product line of industrial air clutches, brakes, and overload protection devices. If you're looking for starting and stopping power in packaging, food processing, material handling and factory automation, visit: carlsoncompany/industrial.com. Carlson OEM specializes in developing products that are specific to OEM customer’s mechanical, electrical, pneumatic and hydraulic needs. Providing services to the Agricultural, Construction, Off-road, and many other industries; our mission is to provide you with a quality product that will outlast its competitors while reducing your costs. Contact our experienced sales team today for application details. Carlson Rotary Unions are mechanical devices which transmit air or fluids from a stationary source into rotating machinery. Rotary Unions are used with a wide variety of medium – air, water, steam, glycol and oil. Designed and manufactured in Wichita, Kansas, USA – we sell directly to Original Equipment Manufacturers and through our network of authorized distributors. Carlson Capabilities has the facilities to manufacture customer requested parts per provided drawings as well as mechanical and electrical assembly. We offer Turning, Milling, Gear Cutting, and much more in order to accommodate you as a customer. Contact our sales team today so that you may receive the best pricing for your outsourcing needs. Carlson Service is a mechanical and electrical service performed on customer equipment at Carlson’s facility. 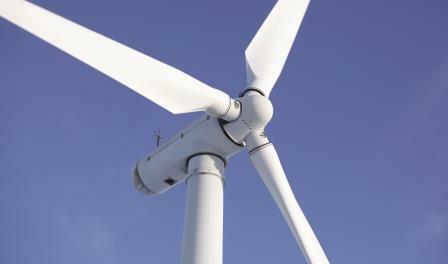 With focus spotlighting the Wind Energy industry our capabilities exceed beyond that into other markets as well. With this service we bring engineering, machining, fabrication, and other manufacturing processes in regards to upgrading your equipment and providing solutions to your problems. Carlson Energy is an industry leader in designing and manufacturing Brakes, Rotors, and Clutch products for starting and stopping power transmission systems in the Oil & Gas, Mining and Wind Energy industries for over 60 years. If you’re looking for field-proven products for use on off-shore or land based exploration or servicing rigs, mining equipment or wind turbines, visit carlsonenergy.com.